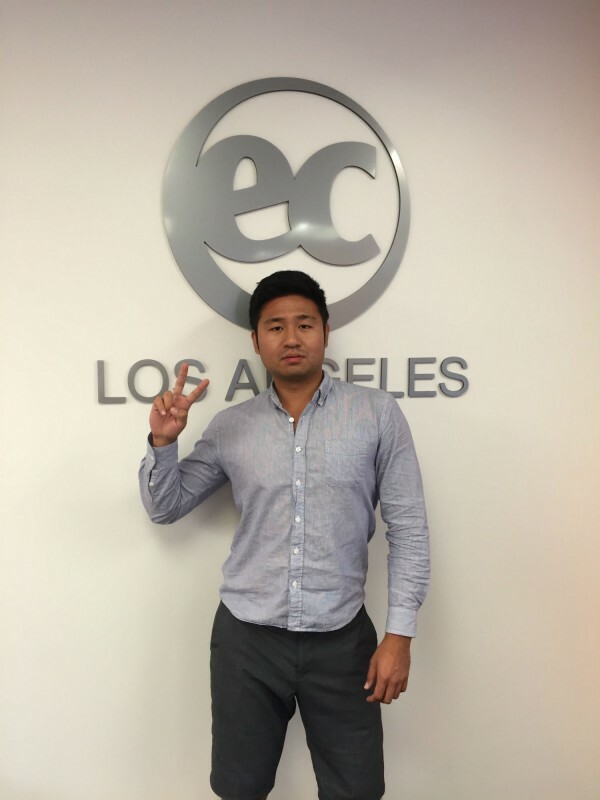 EC Welcomes Yoo, Student Ambassador from South Korea! Fall is a season of Student Ambassadors! Meet Yoo, from South Korea! Hi guys! My name is Byungwook Yoo from South Korea. I am 25years old and I am still a university student in Korea. I am majoring Citi public administration and double-majoring Business administration. When I first considered studying in abroad, I was a little bit reluctant to choose the place. Because I am not that young and I had to choose the best place to improve my English significantly. After searching the information, I chose the EC Los Angeles. There is very few Korean students and always good weather all over Los Angeles. It was the best choice I have ever made! Good student ratio made me always speak English and I can easily get to beach and Los Angeles downtown. Also, Santa Monica has really good public transportation so I can reach to Koreatown anytime I want. That is why I don’t have any problem with my diet. I just want to improve my English as much as I can. Most because I want to get a good job. But, I would also like to feel a sense of accomplishment by speaking English fluently. I guess EC Los Angeles is highly recommended. You can improve English and enjoy your life at the same time! Thank you! Want to study English in the USA? Visit ECLA today! Check out EC Los Angeles today!